Networking. Does that word conjure up thoughts of scary business people in power suits? “Working the room” as they go from person to person telling everyone how great they are? Forget that. Networking is just meeting people. And done well, it’s one of the most powerful ways to build a successful wedding business. Why is networking so good? Basically, we all like to do business with people we know and trust. We all constantly ask friends and family for recommendations for things like restaurants, places to visit, things to buy. We know them, we know their tastes and we trust their judgement. It’s exactly the same when it comes to business and of course weddings. Networking can help you be the name that people remember when those questions come up. 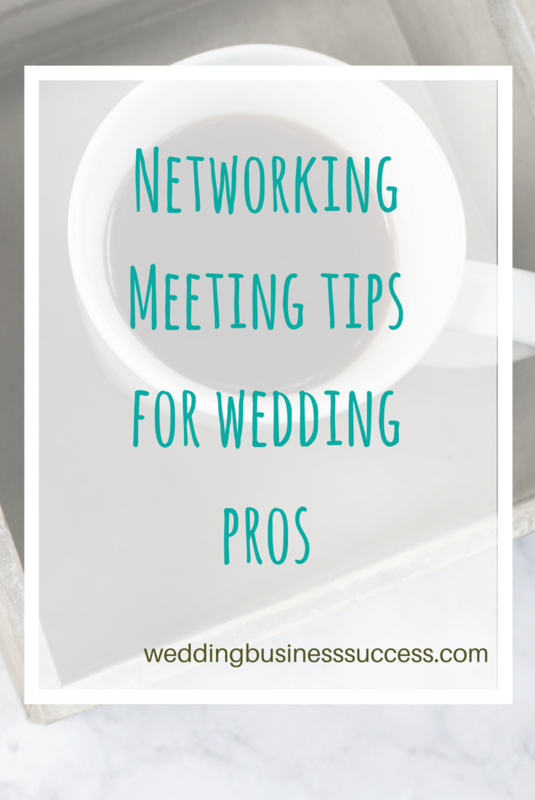 What’s more, networking can be great for your business in other ways. It can help you meet and get to know potential suppliers like web developers, printers, bookkeepers and it can help you build your business skills, get support and make friends. Plus it can be really good fun. There are 3 different ways you can build your network: by attending networking meetings, through informal networking and by networking online. In this article we’re going to concentrate on networking meetings – we’ll tackle the other 2 in future posts. 1. Decide your networking goals. Before you jump in and start going to meetings, have a think about what you want to get out of networking. Is it to meet potential customers or to build your industry links and find referral partners? Is it purely about growing your business or are you looking for business support and advice too? There’s a massive range of networking groups out there. They may run weekly, monthly, occasionally. Women only groups. Structured meeting formats, unstructured or open networking formats, something in-between. They can be wedding industry specific or open to anyone. Some put a lot of emphasis on referrals and doing business, others are simply about getting to know you. Knowing what you want from networking will help you choose the best options for you. Most groups let you go along as a visitor at least once to try it out before you join. Once you’ve been to a few you can make a choice on which ones to join. It can be very much down to personal preference. Did you like the format, the people, is it convenient? There’s a lot to be said for choosing the ones that you enjoy most. So you’ve booked to go to a networking meeting. A few bits of preparation before you go will help you overcome any nerves and get more from the meeting. First of all, check the format with the organiser. If you know what to expect you’ll be better prepared. Many meetings will have an “introduce yourself” round where you say who you are and what you do. Prepare this in advance and do put some thought into what you are going to say and practice saying it. Keep it short and sweet, all you want to do at this stage is give people an outline idea that will leave them wanting to find out more. Even if there isn’t a formal introduction you can bet that people will ask “what do you do?”. Have an interesting, but brief, response ready. Make sure you take plenty of business cards too. 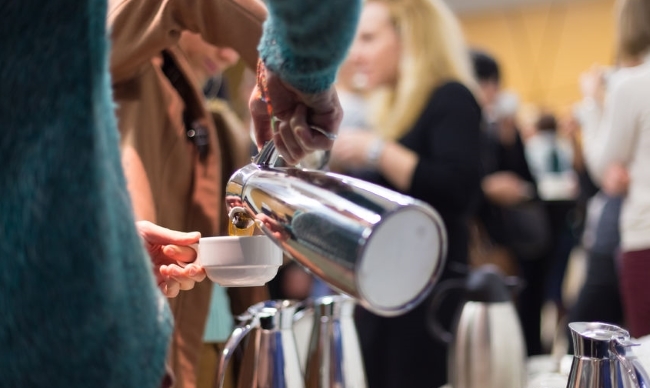 This is a top tip for those who are shy – the organisers will have time to chat to you and introduce you to people and you won’t be faced with walking into a room full of people and trying the join conversations. It’s normal to feel nervous. Most people do, although many are very good at hiding it. Take a deep breath and smile and just be yourself. One of the best ways to build good relationships is to look for ways to help people. So, for example, if someone mentions they need a new website and your web designer is an absolute wizard, then offer to make the introduction – that’s 2 people who will feel good about you and who will remember you. Networking is all about connections and you need to be careful not to judge people too quickly. At general networking groups you may not meet many wedding industry specialists but you never know who the people in the room might know. For example, that accountant you thought was just a number cruncher may be married to someone who works at the country hotel whose preferred supplier list you’d like to get on to. Networking meetings are all about getting to know people, so just talk naturally about your business, take an interest in other people and start to build relationships. Don’t force your sales pitch onto everyone – it just doesn’t work. After the meeting it’s important to follow up the contacts you’ve made and build those relationships. That doesn’t mean taking every business card you get and putting them on your email newsletter list. It does mean looking through the contacts you’ve made and seeing if there are some you’d like to take further – maybe setting up a chat over coffee to get to know them better and explore ways you can work together. Finally, the one thing you need when networking is patience. It takes time before you start seeing results. Too many people start going to networking meetings in a rush of enthusiasm and then give up after a month when they haven’t had any business from it. You need to give it at least 6 months of solid effort and usually longer. However, the results can be amazing and you’ll make friendships and connections that will last for years.